Citronellol is prepared by hydrogenation of geranol and nerol. It is also extracted by fractionation. Citronellol has a characteristic rose like odor and it plays an important role in selecting this material. L-citronellol has a sweet peach like flavor and d-citronellol has a bitter taste. Citronellol is found in plants of the Rosaceae family. It is found in about 70 essential oils and in oil of Rosa bourbonia. It is found in fruits like guava fruit, ginger, corn mint oil, mustard, pennyroyal oil, hop oil, tea, coriander seed, cardamom, beer and rum. Citronellol is a constituent of essential oils like rose, geranium, neroli, chamomile, tagetes, basil, lemongrass and lavender. 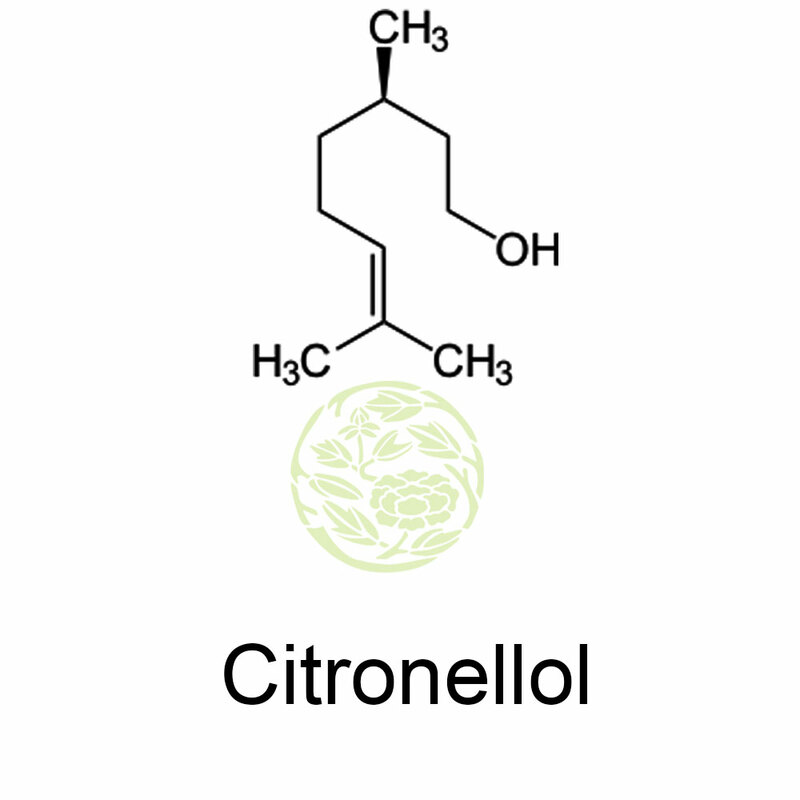 Citronellol is used a fragrance material in perfumes and it sweetens the floral type fragrances. It is used in the formulation of after shave lotions, bath products, bubble baths, and hair care products, cleansing products, moisturizers, lipsticks, colognes and skin care products. In cosmetics and personal care like cleaners, detergents, home care, perfumes and personal care, it is used as a fragrance enhancer. 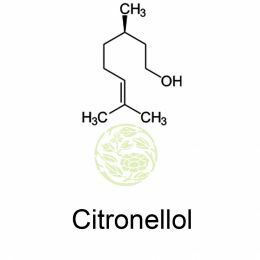 Citronellol is also called dihydrogeraniol is a natural acyclic monoterpenoid and found in citronella oils. It is a good mosquito repellent and if mixed with B-cyclodextrin it provides 1.5 hour protection against mosquitoes. The studies say that Citronellol lowers blood pressure by a direct effect on the vascular smooth muscle leading vasodilation. Citronellol is an oil constituent from medicinal plants like Cymbopogon citrates, cymbopogon winterianus and lippi alba and these possess antihypertensive properties. Some studies say that Citronellol has antibacterial, antifungal, antispasmodic and anticonvulsant activities. Some medicinal plants containing citronellol are used in the folk medicine as an antihypertensive drug. It is used as a raw material for the production of rose oxide. It occurs in many plant oils and is select fruits and beverages. Citronellol is used on food crops and ornamental plants to attract mites. This is good for people undergoing chemotherapy and radiotherapy treatment and is said to improve their immune function. It helps to fight off the cancer and any secondary infection which could compromise the treatment and health. Many of the aromatherapy treatment use Citronellol which is a terpene alcohol. These are gentle on the skin when compared to the phenols. Citronellol blends well with fresh floral clean rose according to the purity content of Dimethylloctanol, Geraniol etc.